Housing for seniors 62 or older or disabled of any age. This property offers subsidy for 13 out of 40 units through the USDA Rental Assistance program. With this subsidy your rent will be based on 30% of your income. Located in beautiful Port Orchard Washington. 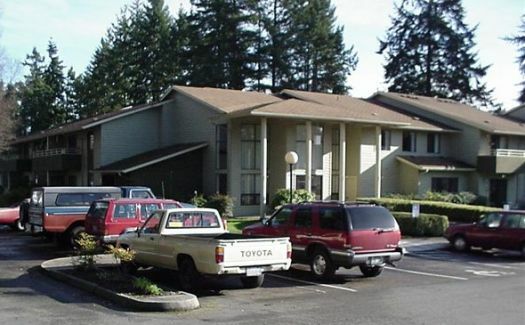 Conveniently located one block from South Park Shopping center with restaurants, banks and grocery stores. Two blocks from golf course, school, fire station. Gardens provided for flowers and vegetable gardening. Lots of trees and nice landscaping. Library and exercise room, fully equipped kitchen in nice community room. BBQ's, potlucks, bingo, cards and other fun activities. Income Limit Details: Below moderate USDA income limits with preference for very low and low. Landlord pays water, sewer garbage. Tenant pays electric. Very reasonable electricity cost. Please call for details and eligibility. If qualified, once becoming a resident, you may get on a waiting list for subsidy based on need. We also accept Housing Authority provided Section 8 Housing Choice vouchers in our non-subsidized units.